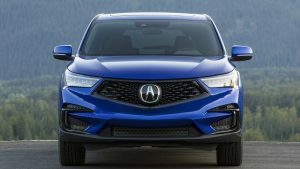 To the accolades being heaped on the all-new 2019 Acura RDX, the automaker can now add another: a Top Safety Pick+ designation from the Insurance Institute for Highway Safety, the organization's coveted top rating. IIHS cites the SUV's good crashworthiness ratings, standard front crash prevention technology and even the availability of "good"-rated headlights, which has become perhaps the group's most daunting hurdle. To qualify for IIHS's top award, a vehicle must earn "good" ratings in the driver-side small overlap front crash test, moderate overlap front, side, roof strength and head restraint tests and an "acceptable" or "good" rating in passenger-side small overlap test. The RDX earns "good" ratings across the board. IIHS also rated the standard AcuraWatch safety technology as "superior," saying it avoided collisions at 12 and 25 mph, and it rated the base LED headlights as "good" and the curve-adapted headlights on the top-of-the-line Advance trim as "acceptable." Autoblog recently learned that 40 vehicle models earned good enough crash ratings to qualify for IIHS' Top Safety Pick rating but fall short because they don't meet the organization's criteria for good headlights. 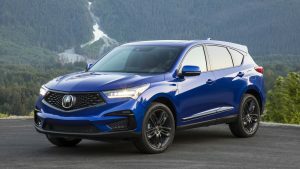 Acura says the 2019 RDX features the newest generation of its Advanced Compatibility Engineering body structure, plus new high-strength steel door stiffener rings and eight airbags. The AcuraWatch suite of safety technologies includes collision mitigation braking, adaptive cruise control and road departure mitigation, all standard. 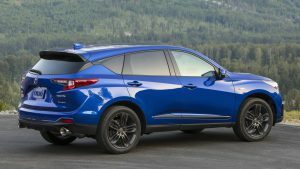 The RDX is powered by a 2.0-liter turbo-four engine that makes 272 horsepower and 280 pound-feet of torque and comes with a 10-speed automatic. The compact luxury crossover went on sale June 1 and set monthly sales records in both June and July. You can find Autoblog's driving review of the 2019 RDX here. There are currently no comments for 2019 Acura RDX named a Top Safety Pick+ by IIHS.